1 Want to know more about Psychosynthesis Typology and its energy types? The purpose of this chapter is to illustrate with my own story how discovering your dominant types at the five psychological levels can revolutionise your understanding of yourself and others. We do not see reality as it is, but as we are – we perceive ourselves and others through a coloured filter made up of our own particular typology. The aim of the Seven Types is to fine-tune this lens so we can see more clearly the full psychological spectrum for what it means to be human. In this way, using the model of the Seven Types, we can develop our understanding, increase our sense of acceptance, and act in the world with greater wisdom and authenticity. By telling the story of how I came to know my types – and the enormous benefits I derived from this – I hope I can inspire you to do the same. I hope to demonstrate that the model of the Seven Types has both substance and valuable practical application. Studying a theory is not enough: it must be put to the test and confirmed through observation and experimentation. 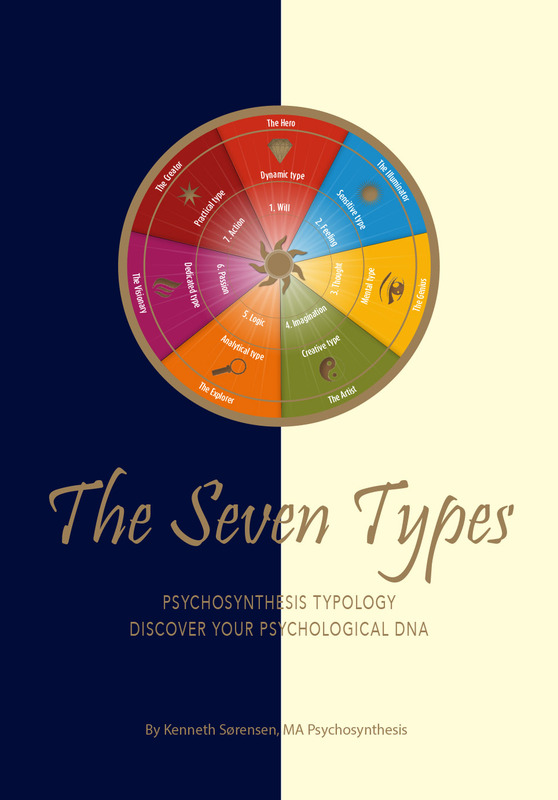 So please come with me on a journey through my life to see how I came to an understanding of my types, which seems to be a sensitive soul (2), dedicated personality (6), dynamic thinking type (1), dedicated feeling type (6) and dynamic body type (1). This combination can be expressed as in formula “2-6, 161” and, as my story develops, you will see how my body, feeling and thinking types were the first to emerge. Growing up, I used to read stories about war and the Wild West. These stories offered clear cut black and white images of good and evil, with the good strong man always beating the bad guys. It is no wonder that this particular stereotype appealed to me – it embodied both the passion (dedicated) and bravado (dynamism) of my own emerging personality. With the conflicting dedicated and dynamic energies emerging, it is not surprising that, as a boy, I had a difficult temperament. Inner conflict was a major theme for me. I resented it when anyone tried to dominate me or treat me unfairly – but my need for self-control (dynamic) would often win out and prevent me from acting out my emotions. That said, I often fought with the other boys at school, largely because it was part of the core beliefs in my upbringing that men were meant to be fighters: it felt natural to fight, it was something that boys did – but this only increased my isolation. I was strong and a good fighter, which is reflected in my dynamic body type, which can put up a good fight. However, this inclination to fight ended when I lost to a stronger boy when I was 11 years old and was badly humiliated. So I started looking for less dangerous, ways to be the best, and one way I found – which is typical of the dynamic thinking type – was to become quick-witted to score points and win recognition. But all the time, I had a fear of humiliation, which is one of the great fears of the dynamic type, who always wants to be the strongest and best, no matter at what level the dynamic type is being expressed. Closed off from other people and from my feelings, it is little wonder that in my early teens I was an insecure and vulnerable young man. I was bottling up the passionate emotional life of the dedicated feeling type. I had learned to hide my feelings behind a tough and cool masculine exterior. With considerable effort, I had suppressed my emotions, vulnerability and sensitivity. In hindsight, I realise that I had been able to do this because of the qualities of the dynamic thinking type, with its capacity for self-control, with which I could suppress my deep fear of feeling humiliated by showing my emotions. Another key aspect of my early personality was a sense of isolation: I didn’t have a real friend until I joined the army. Friendship was out of reach when I was growing up, perhaps due to the many fights I got into. From an existential point of view, it could also be that growing up in a working class environment offered little to stimulate my true nature, hence my frustration. There was an inner conflict because my lifestyle was at variance with my core nature. Feeling at a loss, the patriarchal nature of my family environment served to stimulate the dynamic aspect of my typology. Today, knowing that the dynamic type needs time alone, my isolation as a boy and young man makes sense. Furthermore, I can recognise in my younger self the dynamic type’s need for freedom and refusal to compromise. 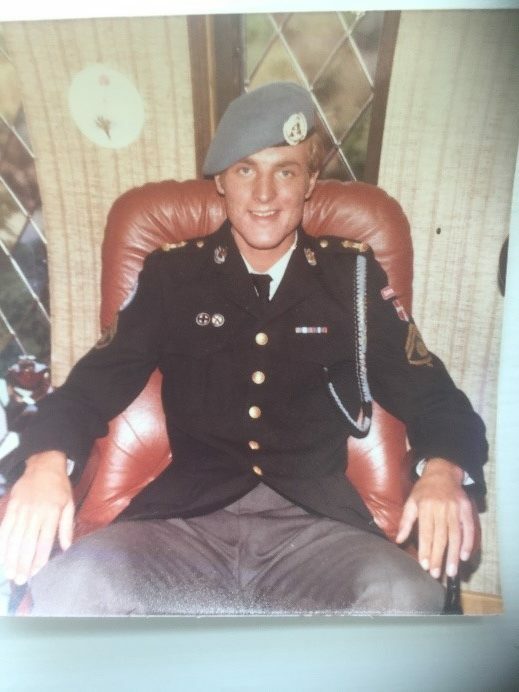 At 17, with little interest in my school subjects, I decided to join the army as a professional soldier. I subsequently spent five years in service, first in the infantry, then as a gunner, and finally as a battlefield scout. I also spent a year with the United Nations as a soldier in Cyprus. My time in the army shaped my budding personality. I was in my element in the army due to my dynamic thinking type. 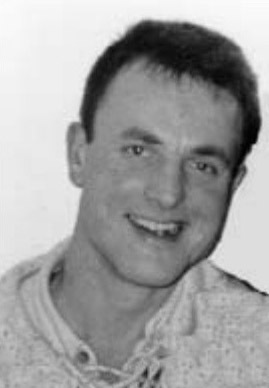 I had found a self-identity as a right-wing nationalist whose goal in life was to defend his country (Denmark) from the Communist threat coming from Russia. This was when the Cold War was at its height, before the fall of the Berlin Wall, and this provided me with a cause I could engage with wholeheartedly: my dedicated personality type had been awoken. It felt as though I had finally found a cause I could fully engage with and believe in. It can be noted that, in my earlier life, the will – which characterises both the dedicated and dynamic types – was very dominant in my combination of types. Will generates a lot of aggression, together with frustration when the energies are blocked, which they were during my upbringing in a strict, almost military-like, family structure in which physical punishment was the norm when rules where broken. The army allowed me to channel my aggression and frustrations constructively. The discipline was important for me. Even learning how to use weapons was helpful because it gave me an opportunity to manage my dedicated and dynamic energy. Learning to use firearms can teach us how to trust the assertive and combative energies in our personality through learning to be calm and focused. For example, when handling a live hand grenade you have to trust it won’t blow up in your face, and when firing a tank gun you have to both access and control primitive destructive energies. However, I don’t want to glamorise life in the army – indeed, most of us would rather we didn’t need armies at all. However, for me, while being in the army didn’t solve my problems, it was a good experience because it gave me direction. Looking back now, equipped with the knowledge of the Seven Types, I can identify and accept how the army helped me in my struggle to harness the basic energies within me. I understand now that there was a battle going on between my positive qualities – focus, idealism and industriousness (dynamic and dedicated types) – and my shadow qualities – self-sufficiency (dynamic), fiery temperament (dedicated), and dissatisfaction at failing to meet high ideals (dedicated). The army gave me something to believe in. By becoming a good soldier I learned to discipline my nature and direct my resources toward a goal. My time in the army enabled me to start synthesising the different energies in my personality through idealism, commitment and activism: I believed in defending my country and the free world. However, my personality was still developing and immature, and this showed in my distorted and unbalanced emotional nature. Until my 20s, I had never attempted to reflect on my deeper nature and, for a stereotypical man, psychotherapy was out of the question. However, I was deeply unhappy, primarily because I had no love life. I was going through life alone. I had a friend in the army but I was unable to talk to him about my worries and feelings. But, as is typical with the dynamic thinking type, I found answers in my own time under my own initiative. My defences were impenetrable (dynamic), and no woman could reach my vulnerability (dedicated feeling type), but behind this tough facade there was a devotional and romantic heart (dedicated feeling type). I felt as if a wall separated me from my surroundings, making it impossible for me to open up to love, even though I had plenty of opportunities. I had also been badly affected by the experience of having severe acne in my teens, which had served to increase my deep sense of vulnerability and fear of humiliation when it came to romance. So, aged 21, I was dealing with a personality composed equally of the dynamic and dedicated types, which inevitably led to violent inner tensions: my need for self-control (dynamic) was in opposition with my need for a passionate romance (dedicated). Then I met my first serious girlfriend and the lid came off the pressure cooker! Out came years of repressed emotions: powerful romantic desire and all the frustrations I had been keeping at bay. This turned my life upside down. These strong emotions came out, overwhelming any sense of self-control, and almost destroyed my self-perception and self-identity overnight. This first relationship lasted a couple of years and, when it ended, I had my first major existential crisis. I came to realise I could not carry on living in isolation behind the tough facade I had created (dynamic). Something had to change. Shortly after the break-up, I left the army and moved to Copenhagen to enrol at a Folk High School. During the next few years, my identity underwent a total transformation. A new energy came into my life that was focused on understanding and developing my emotions (dedicated personality type). While becoming more aware of the repressed feelings and social phobias that were making me depressed, I also found a new direction. I realised I had to break out of the shell I had been hiding behind. I made new friends and developed a social life centred around my emerging interests in astrology and self-development. This was an important shift for me because I started cutting ties with my old life. I sensed I had to free myself from old influences so that something new could emerge – and I was able to do this because, having a dynamic mind, I possessed the ability to let go and cut ties in service of achieving greater freedom. Taking courses in astrology and parapsychology ignited a fire in me that I had not felt before. When I first heard about astrology, I realised I could spend the rest of my life studying it. Astrology helped me to understand who I was and what I could become. The types in my personality structure were helping me: my passionate dedicated qualities were motivating me, while my dynamic mentality made me ambitious and helped me to focus. Through astrology I discovered a cosmological wisdom that helped me to see that I was part of a greater whole – and, for the first time, I started to experience the energies of my sensitive soul type. At this point, I was still largely focused on myself – I had not fully embraced a sense of the yearning of the whole world. My focus was on self-improvement and, in particular, on learning how to jettison my various insecurities and inner conflicts, and I started to do something about it. I spent the next few years, from 1986 to 1991, studying astrology, attending high school to gain some general qualifications, meditating and undergoing psychotherapy. Meanwhile, having no formal qualifications, I earned a living working in construction and as a cleaner. I had ambitions which my upbringing had not satisfied, but the dynamic energy gave me the will to be financially independent and to work hard to achieve it. Unskilled physical labour humiliated my dynamic thinking type because I was at the bottom of the social hierarchy, but the new world I was discovering held many compensations – I was engaging with the mindset of spirituality, which was completely new to me. It suited me and, for the first time, I started to feel confident in myself and with how my life was going. It was in 1988, at the age of 26, that I sat down and meditated for the first time. I immediately felt I had come home. Through meditation, I discovered I could dissolve my unhappy emotions by visualising a sun in my chest that held me in a loving embrace. I had discovered an inner source of love. From this point on, meditation became a daily practice of self-healing and transformation. Initially, my mediation was driven by a need to experience love (sensitive and dedicated energies) and to be completely free to be myself (dynamic). Meditation also activated the introverted part of my dedicated nature and my inner mystic emerged. I also opened up to the energy of unconditional love, which helped me to feel less vulnerable. After a year of meditating I developed a deep love for Christ, as I understood him, which seemed quite natural to me, despite growing up an atheist. I had discovered a space in my personality that was open to energies that until this point had lain dormant in me. My dedicated personality was focused on meditation, psychotherapy, astrology and spirituality. But in 1991, this focus changed when I started to study social work. Suddenly I found myself in a relatively left-wing environment, which was a culture shock for me. Not long since I had been a soldier with nationalistic leanings who hated communists and the left-wing. 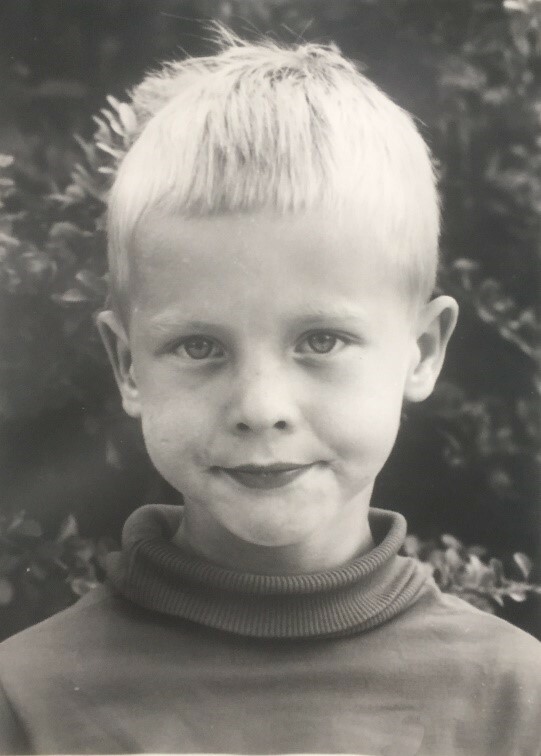 My younger self would have been horrified and accused me of joining the enemy, but my identity had changed and I had cut ties with my past – indeed, now I was a vegetarian and tee-total, someone who meditated and read New Age philosophy. So, education in social work felt like a natural next step in my transformation. I was transitioning from one extreme to the other, which is typical of an immature dedicated personality. During the 1990s, my personality stabilised. I settled down, had a family and dedicated myself to my work in the field of mental health. I started a national magazine for mental health service users, written and produced by the users themselves. My work, together with my growing interest in theosophy and Eastern traditions, was the focus of my life. Indeed, I had become an activist and a missionary for two causes – mental health and spirituality – my dedicated personality type was very much in the driver’s seat. My approach was admittedly single-minded and somewhat fanatical, but good things came from this. As the millennium approached, I had a daughter, which once again changed everything. Overnight, I had to develop a new identity as a father, which helped me to become less rigid and more receptive. Around 2001, I dropped my identification with theosophy after a crisis in the group I was involved with. I had become deeply disappointed and disillusioned with the group’s inability to put our ideals into practice, and I vowed that I would never again identify myself solely with one religion or philosophy. 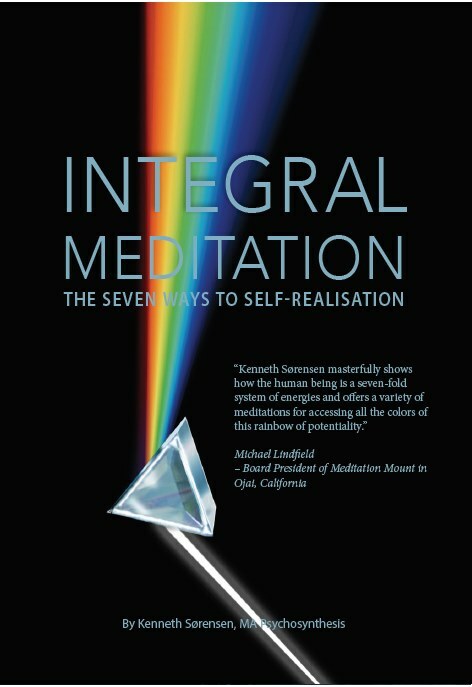 While appreciating many of the values ​​and insights offered by theosophy – not least the philosophy of the Seven Rays – I realised that adhering to a single philosophy was limiting. I needed the flexibility to think for myself. But while the missionary in me died, the activist was still very much alive. Both archetypes – the missionary and the activist – are aspects of the dedicated personality type, which needs to be a passionate advocate for a cause. At this time, my identification with the dedicated personality type started to lessen and in its place I started to derive my primary motivation from the sensitive energy in my awakening soul via the archetype of the Illuminator. I decided to start an intensive training in psychotherapy and enrolled on a four-year diploma in psychosynthesis that turned into a Master’s degree. As a result, I became the first person in my family to gain an academic degree – an example of both the ambitious nature of the dynamic energy and the ground-breaking nature of the dedicated energy. This training led to another career-change. 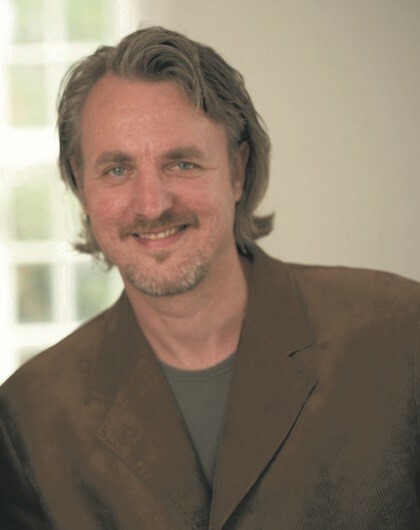 I left social psychiatry and started my own business as a coach, teacher and psychotherapist. Now more fully under the influence of the sensitive energy, my focus had changed. Psychotherapy introduced me to a calmer, more intimate and spacious inner world. My philosophical outlook became less rigid as I became more grounded and more focused on experience rather than ideas. My sensitive soul type had paved the way for my work as a psychotherapist and teacher in psychology and meditation. I was now more in control of my passionate energy. To use an analogy, I was now mostly riding the horse rather than it riding me. In terms of my combination of types, this was the final piece of the puzzle: I had started to integrate my sensitive soul type (2), meaning my combination was: 2-6-161. The sensitive energy of love-wisdom gave me greater awareness and insight into the psychological universe. Aligning myself with this sensitive energy, I found an inner connection with myself and my surroundings. Of course, this is not as easy as it might sound: abiding in this calm, loving and observant presence remains a daily struggle – frequently the fire from my other dominant types temporarily upsets the balance. Let me give you an example of the tension between my types and how I harmonise them to make my body, feelings and thoughts cooperate with my soul. When I write, I am often influenced by the reactions of my dedicated and passionate emotional life. I can get so excited about ideas and insights that I cannot continue writing. My solar plexus starts bubbling and I have to get up and let off steam. Clearly this can interrupt the creative flow. I also practice breathing to calm my emotions. I observe them in a loving and impersonal manner and ask them to relax. This is an example of how to use the sensitive energies to calm the disturbing passion of the dedicated type. Another problem when writing is that I can overlook signals from my body and emotions. I write intensely with absolute focus then, after a few days of this, I notice stress symptoms: irritation, tension and general annoyance. This is an example of how the dynamic mind can use sheer will power to push through its agenda, which is ultimately unproductive because, at some point, I have to stop writing for a few days to allow my depleted nervous system to recharge. I can also get agitated or irritated if the words come too slowly, then I will push myself too hard with an intense discipline. To avoid this, I am learning to control my impatience and limit the hours I work. Spending time in nature is one of the best ways I have found to help balance out this intensity. These are examples of how the excessive intensity and power of the dedicated and dynamic energies can cause problems. They are also examples of how I have learned to balance my energies. I often say that my life project is to learn to express my wise and sensitive soul nature through a personality that is like a battle tank. This is not an easy project. 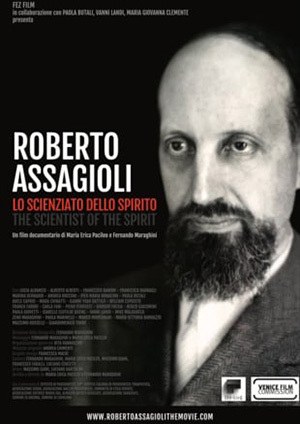 This brings me to my last point, which is the need to integrate all the types – with all seven energies at our disposal, not just the dominant types – a process that Assagioli called harmonisation. To give an example, in 2012, I realised I was still too stiff, inhibited and one-sided in my expression as a consequence of my particular dominant types (dynamic and dedicated). I decided I needed to become more spontaneous, easy going and relaxed. To accomplish this, I realised I had to strengthen my contact with the creative type, with its sense of creativity and spontaneity. Knowing the model of the Seven Types, and its methods for working with the energies, can help us to consciously shape our personality. Within the framework of our types, we can integrate aspects of the other types. How much progress we make depends on how much effort we are prepared to put in. Whenever we experience an energy and immerse ourselves in it, we will slowly integrate its qualities. In this way, we can create a new inner atmosphere and change our behaviour. This concept is at the core of Eastern yoga, or from a Christian perspective we could say: “As a human being thinks in his heart, so he is”. Accordingly, I changed my style of meditation so I could start to focus on the qualities of the creative type. I started visualising images of beauty and harmony, and slowly I started to feel a sense of grace and playfulness. However, changing habits is costly. In my case, the shadow side of the open and playful energy started to manifest. In my encounters with the world, rather than expressing this emerging sense of creativity, I instead noticed a stiffness and a fear of people getting close to me. Psychotherapy helped, once again. I was reminded of a wise teaching: the opposite will emerge whenever we endeavour to bring in new energies. The way to tackle this is to clear the way so the new energy has space to manifest. I started attending yoga classes three times a week. My body was stiff and inflexible, but yoga, which expresses the creative energy, helped me to establish physical and mental balance and harmony. I practised yoga for two years, with amazing results. My body changed significantly. I became far more flexible and coordinated. Also, being with other yoga practitioners affected my emotions as I absorbed their energy – my fellow practitioners were lithe and gracious and radiated the ease and grace I needed. I also attended classes in dance, authentic relationships and intimacy. This was challenging, but the combination of inner work and participation with others who are on the spiritual path can hasten transformation. I was spending time with people who exhibited a strong creative energy and who were more physical and intimate than I had ever been. For me, the result was a whole new way of life. Integrating the qualities of the creative type helped me to express my sensitive soul type. I became more expressive and interested in relationships, and my teaching started to focus more on experience and the body, rather than on ideas and head knowledge. It also affected my love life: in 2015 I met Karianne, who became my wife, soul mate and life partner. Our love and her feminine radiation have strengthened my ability to be present, vulnerable and strong. I am still on a journey to balance my energy composition with the other energies, but I have found the colour palette with which I know I can learn to express myself more fully. This has enriched my life immensely – and I feel I have even more to give. I believe the greatest gift we have to give in this world is to simply be who we truly are. 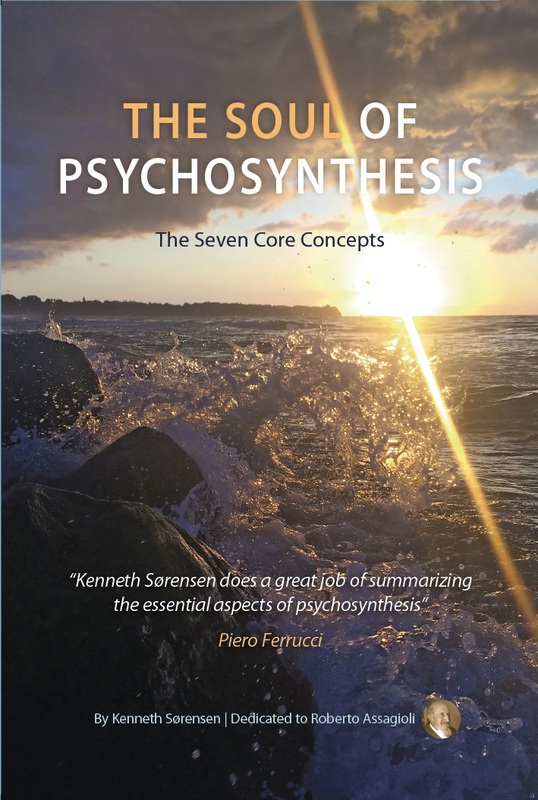 Want to know more about Psychosynthesis Typology and its energy types?